Michele joined the firm in 2003. Michele is a certified public accountant who has years of combined public and private accounting experience. Currently she supervises the preparation of financial statements and tax returns for our business clients. She is also a Certified QuickBooks Pro-Advisor™ who has performed customized installations and training for numerous clients on QuickBooks. Prior to joining the firm, she worked as a controller for a medical practice where she developed accounting systems, performed bookkeeping functions, and prepared and analyzed financial statements. In addition, she worked at a public accounting firm where she performed audits, reviews and compilations and prepared full disclosure GAAP financial statements for a variety of large and small businesses. Michele holds a Bachelors Degree in Business Administration; concentration in Accounting, from the University of Massachusetts at Lowell (1993). 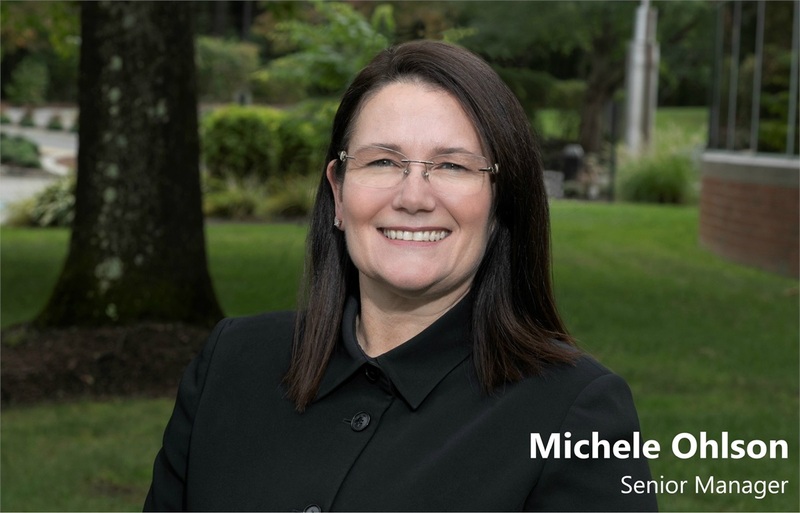 In addition, Michele is a member of the American Institute of Certified Public Accountants (AICPA) and the Massachusetts Society of Certified Public Accountants (MSCPA). Michele is married and is the mother of two beautiful girls. She enjoys volunteering at her local church and spending time with her family. Michele is not affiliated with Woodbury Financial Services.